On Thursday night I attended the 3D Imax Screening of Disney's John Carter. 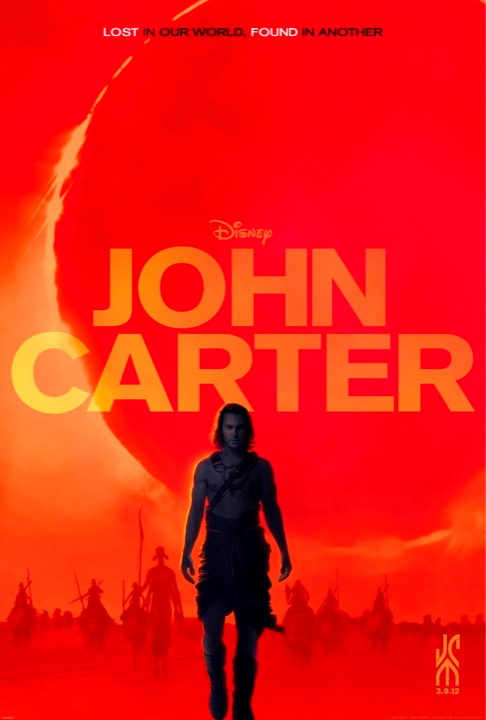 The film chronicles the adventures of former Confederate Captain John Carter, the protagonist of Edgar Rice Burroughs' 11-volume Barsoom series. Hero John Carter is transported to Mars, known by its inhabitants as Barsoom and before John Carter can even figure out how he got there, he is drawn into the conflict among Barsoom's inhabitants, which includes the Helium people, the Tharks, and the Zodanga. Does John Carter ever get back home? That's for you to find out! I won't give you any spoilers, especially for those of you who like me, did not read the books before heading out to see the film. Sometimes reading the books before seeing a movie can be a total mixed bag, you become more critical of the casting, and whether or not the scenes are as you envisioned them to be in your imagination. I definitely approached this Sci Fi/Adventure film with a totally open mind, but a book that is said to have inspired both Star Wars and Avatar certainly gives an audience big expectations. I have done some research on the history of the rights of the film and the different hands it passed through before it got to it's current team and director, and I read that Robert Rodriguez was once being considered to direct the film, and to some degree I wish that had remained the case, as his sense of pacing would have made the film so much better. I will say the movie is well cast! The actors definitely gave it their all, but the films pacing and narrative falls a bit short. 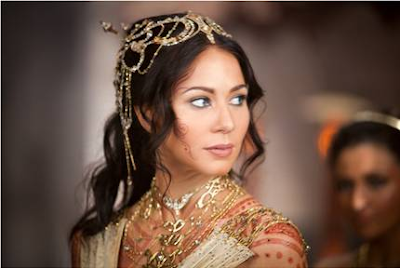 I did love that (for the most part) the Princess of Helium, Dejah Thoris was no fearful shrinking violet who couldn't fight or think for herself. Princess and Regent of the Royal Academy of Science turns out to be a very fierce fighter, and Lynn Collins did a great job striking that balance. Her and John Carter (played by Taylor Kitsch, who you might remember as Tim Riggins in the NBC television series Friday Night Lights) have a great chemistry together and played off of each other well. But the movie stealer is actually an enormous creature who is very loyal and sweet and looks like a cross between a dog and a dinosaur called 'Woola'. John Carter is the first person to come to Woola's rescue, and as a result Woola becomes very loyal to John and becomes his constant companion and loyal friend. The Woola has this 'aw factor' and endearing appeal that makes him an absolute scene stealer, somehow that face that only a mother could possibly love, becomes the character you find yourself rooting for! Will John Carter make the 250 million dollar budget worth it? The audiences this weekend will decide, as for this butterfly, it's a two out of a possible five butterflies. The pace can get a bit draggy at times, and it's a long run time (so don't go on an empty stomach), I don't see it as a rival to Star Wars or Avatar, but it's an interesting enough start as we wait for this year's summer blockbusters. FTC Disclosure: I attended the John Carter Screening as a member of the Digital Press. No compensation has been received by Ascending Butterfly for this review. This is NOT a spsonored post. @Katherines Corner - It's definitely a movie you want to catch on the big screen!